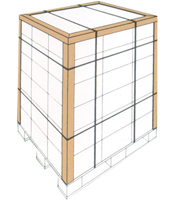 Please click on the product link to obtain a specification sheet for that particular PCE product. 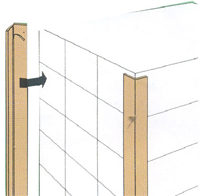 Edgeboard (corner board, edge protector, corner protector, V-board) is used to protect the corners of a variety of unitized loads. 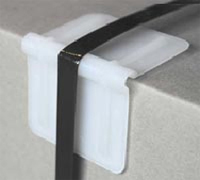 There are also smaller pieces of corner protectors that are called strap protectors. 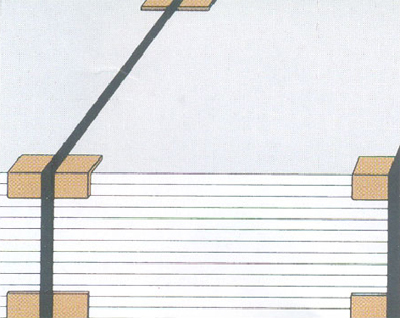 You will find these strap protectors used a lot in the lumber industry. 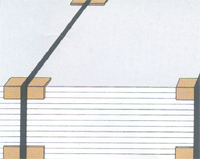 They also manufacture edgeboard with cutouts in one leg so that the board will bend around round products. If you need more information, please use the information on our Contact Us page to communicate with a company representative. E.g. 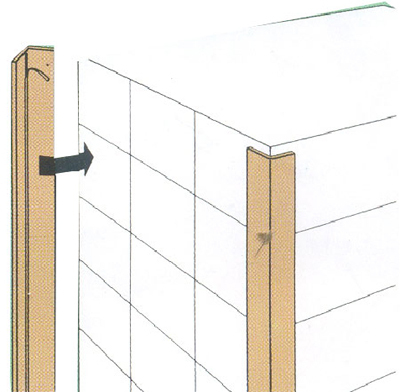 2" x 2" x 48" x .180"
We sell edgeboard by the full skid ONLY. Skid Quantities will vary by the dimensions of the piece. Lead times are typically 2 weeks. Printing is available on edgeboard. One time artwork charges and per piece charges will apply. 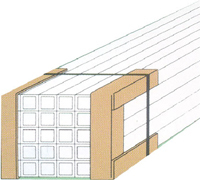 Moisture resistant edgeboard is available for refrigerated applications. REGULAR PALLETIZED LOADS: The following are illustrations of different applications of edgeboard. Sold in case quantities of as little as 1 case. 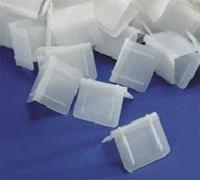 There are typically 1,500 � 2,500 pieces per case. Standard sizes are most common. E.g. 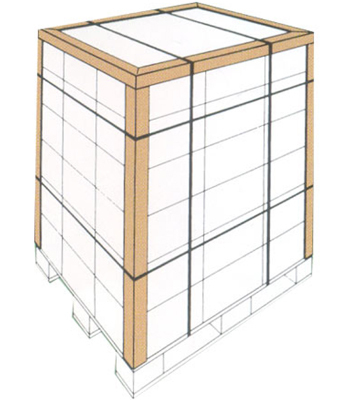 2" x 2" x 2" x .225", 2" x 2" x 3" x .250", etc. STRAP PROTECTORS: The following are images of different applications. 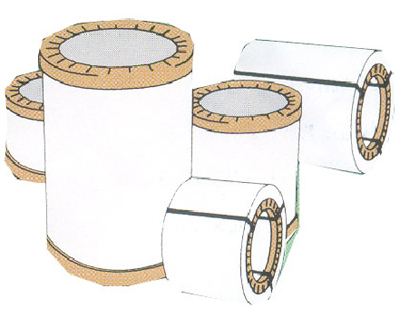 Used to protect any coiled or odd-shaped items such as steel, paper rolls, picture frames, etc. Please call us for pricing, with any questions you might have, if you need help with a particular application, or for some creative ideas.